Customers essentially measure the overall performance of your field service company by a single level: the field tech level. You can understand why: as the frontline employees of your company, field techs communicate closely with customers and develop partnerships with them. Field techs represent the primary touch point in the customer experience of your company. As such, field techs are uniquely valuable as part of your sales team. With intimate product knowledge, strong customer relationships, and the tools to up-sell and cross-sell services, techs are already prepared to boost revenue by creating a new profit centre for your company. Empower your techs to assert their sales power in the field, with the tools they need to feel confident in this new role. These 3 killer tips are a great start. Share this article with your techs via Twitter or Facebook to get the word out today! -Integrated dispatch, scheduling, and GPS traffic tracking solutions, which ensure that they provide top-notch customer service and make the best impression possible (see below). -Mobile Internet access to your company website, where product/service showcases and additional information will help close new deals on the road. Active listening is an easy and effective sales strategy that all field techs can start practicing right away. It works better than an elevator pitch. -Before leaving a job site, ask the customer if they are satisfied with the service, and if there’s anything else that could be done. -Wait 3-4 seconds to respond to the customer’s comments or questions. “This conscious pause will make the person feel heard and comfortable enough to talk more,” says AllBusiness.com contributor Keith Rosen. -Respond slowly and thoughtfully, and demonstrate a sincere interest in what the customer has said. Repeat back their comments, to show that you were really listening. 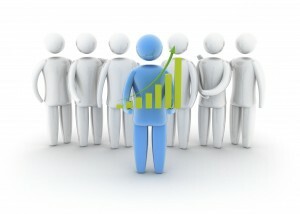 -Focus on the service as it benefits the customer, not as an impressive reflection of the company. Encourage feedback for questions like, “ What could we do better?” Through their own monologue, customers could up-sell themselves on your services! Before your tech even reaches a customer’s front door, an everlasting impression is taking shape- particularly if the tech is late. From this point onwards, the customer’s perception of your company has adjusted to suit that first interaction (or lack of interaction). Their decision to continue using your service could hinge on a single tardy. Scheduling, dispatch, and GPS tracking solutions on the road can eliminate the likelihood of lateness, and ensure that your techs don’t miss a single appointment. With these tools, you can foster the value of first impressions. Techs sell by creating memorable customer service experiences. Timely, helpful, and friendly service from the get-go is more convincing than any elevator pitch. Just ask your customers!